Pattern available as free download. This quilt completes to 62" x 74"
We've combined a variety of Color Weave & Burlap fabrics to create a kit for a popular quilt hanging here in our shop. 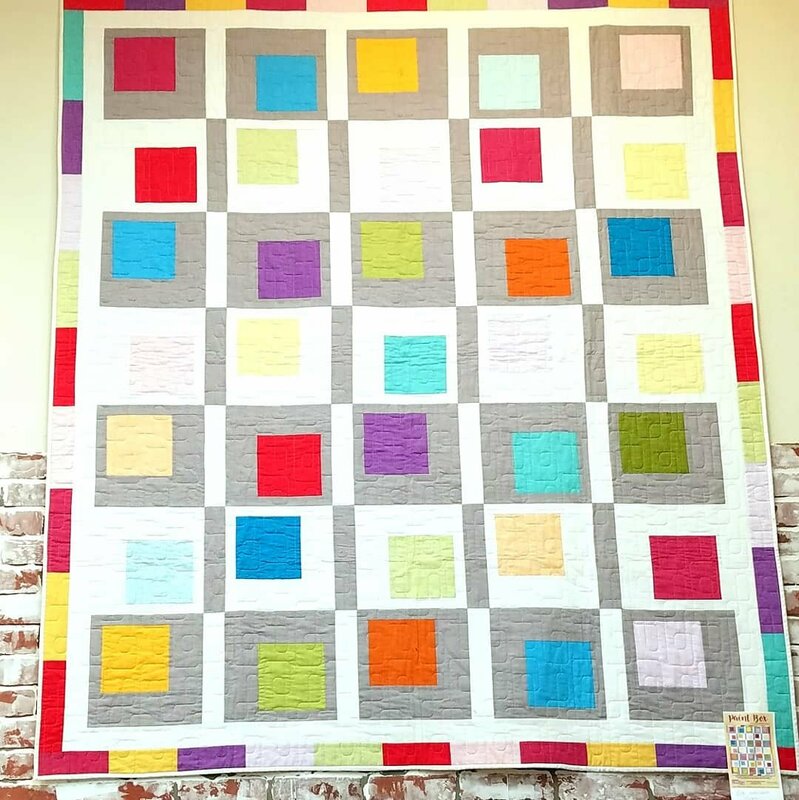 "This colorful quilt is really made with just one block! The varied look is achieved by alternating colors and alternating the direction of the block. Each row has five blocks. There are 4 sashing strips in each row, and they alternate from white to gray."